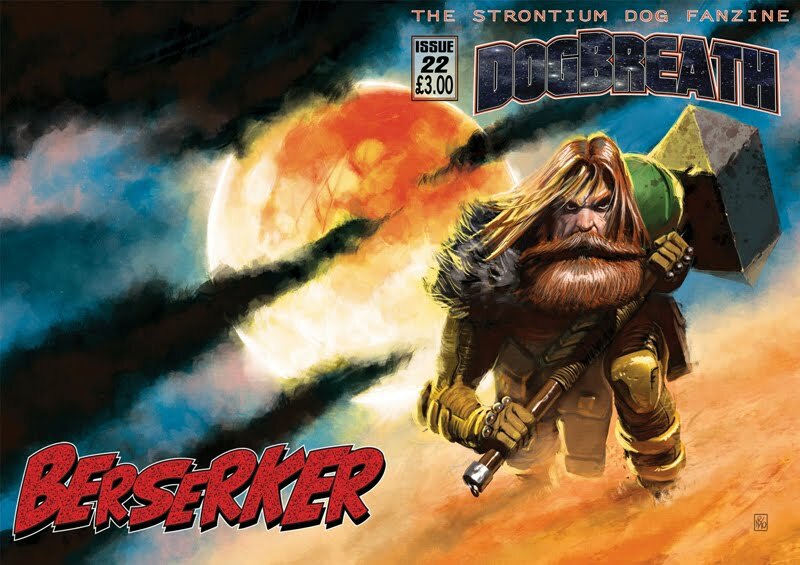 For those of you out there who don’t know- Dogbreath & Zarjaz are available from Forbidden Planet and affiliated comic shops for a short time after each issue is released. Zarjaz 08 and Dogbreath 21 are currently available from the shops- but they won’t be for long. In approx 2-3 weeks the remaining issues will be returned to me and the new issues sent to the shops. The older issues then will only be available from the website, or at conventions, so if you don’t have your copies yet- make sure you get them! A massive thanks to Neil Roberts, for taking time out of his hectic schedule to provide us with this amazing portrait of Wulf Sternhammer. Seriously- if you saw this heading your way you’d stomm yourself, wouldn’t you? Dogbreath 22 is due out very soon, in time for the Hi-Ex! convention in March. 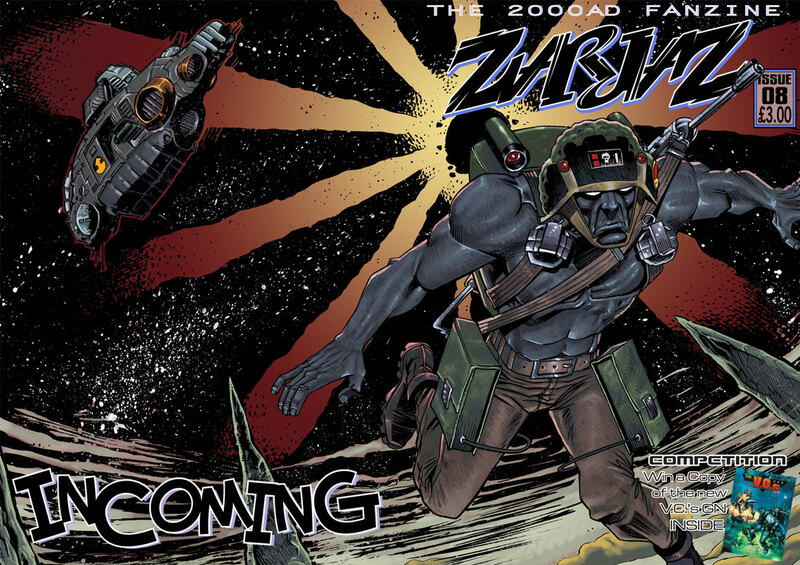 Over on his blog,Nigel Dobbyn has already spoken of this, his cover to the next edition of Zarjaz! 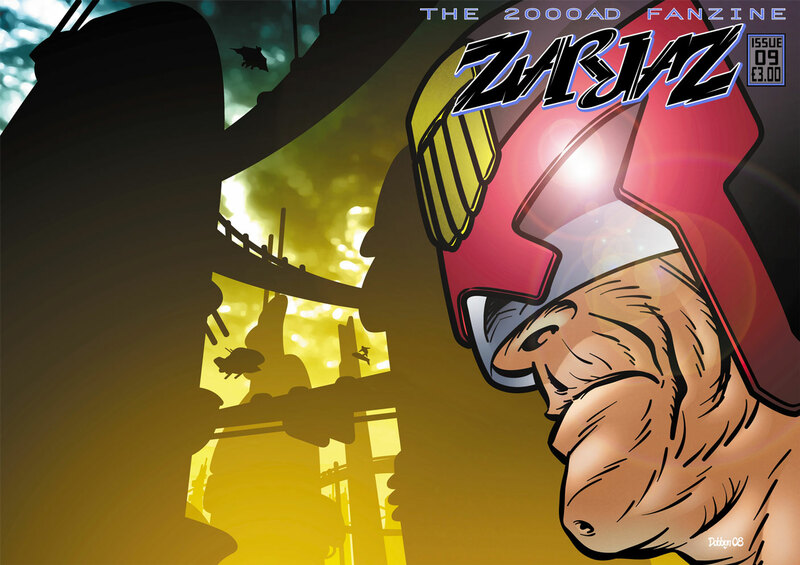 Available in time for the Hi-Ex convention in March, ZARJAZ 09 will, as you might gather, focus more on JUDGE DREDD and the world he inhabits, with strips and features all presented with the quality you have come to expect. After all, it isn’t called ZARJAZ for nothing! Stay tuned for more news of this issue as time appraoches for launch! 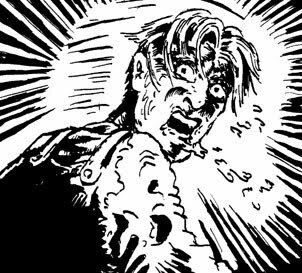 DOGBREATH 22 will see the concluding part of STRONTIUM DOG- LUNACY, written by DOGBREATH regular Alec Robertson and art by Bolt-01 and Richmond Clements. 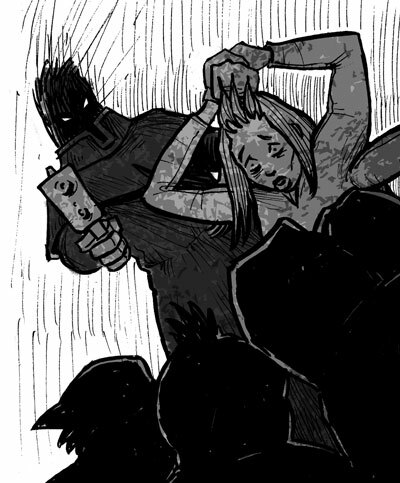 VOICES is a 5 page strip for this autumn’s SOMETHING WICKED, written by Scott Schmidt, and artwork provided by El Chivo. 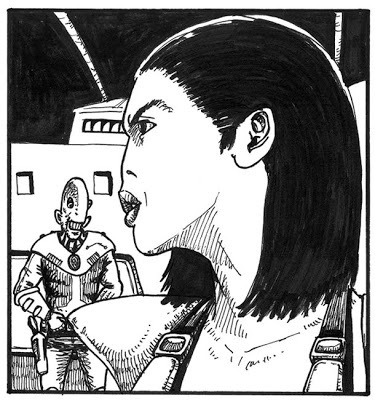 Over on The Ministry of Silly Accents, Bruce has made a really interesting post about the character of Laura ‘No-nose’ Gonzalez, the lead character in ‘FROM BELOW’ running in the current Dogbreath. This Just In: Strontium Dog- Don’t Take Your guns to Town! Strontium Dog- Don’t Take Your guns to Town is the brainchild of Matt Soffe. He originally pitched this to us quite a while ago, and with some nips and tucks it has turned into quite a strip. Check Matt’s blog for some more preview images.